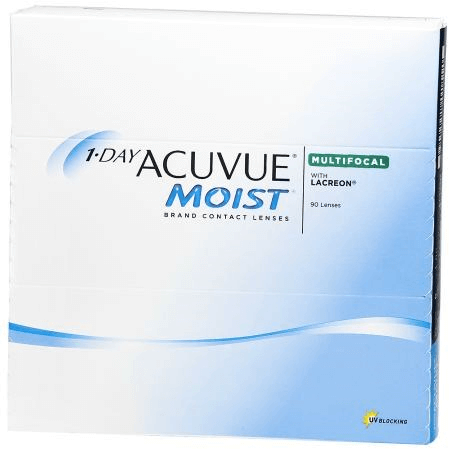 1-DAY ACUVUE® MOIST MULTIFOCAL Contact Lenses are a multifocal version of the 1-DAY ACUVUE® MOIST contact lenses. 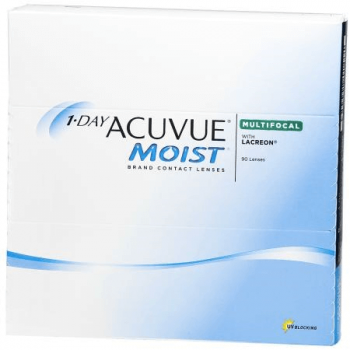 1-DAY ACUVUE® MOIST MULTIFOCAL Contact Lenses come in 3 different reading powers, LOW +0.75D to +1.25D, MID +1.50D to +1.75D, and HIGH +2.00D to +2.50D. 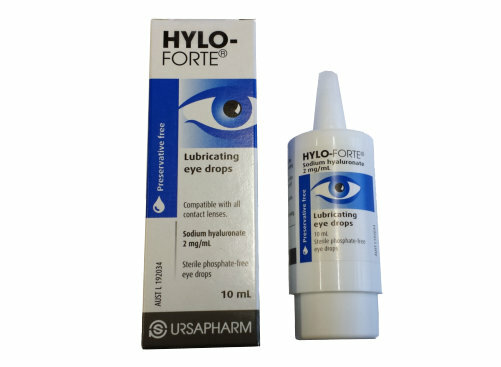 1-DAY ACUVUE® MOIST MULTIFOCAL Contact Lenses are also available as 30 packs.